Extract scanned PDF content to editable documents using OCR. 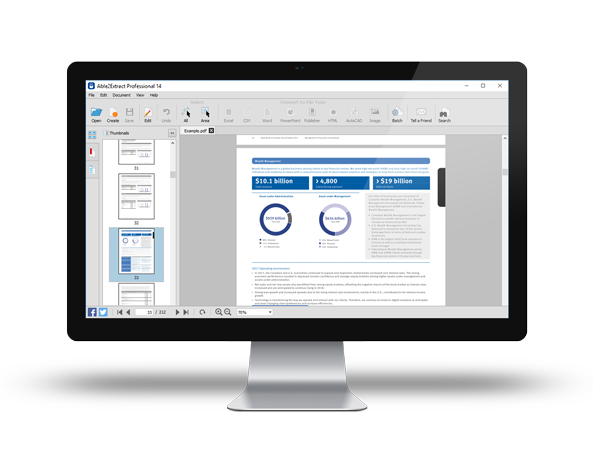 Edit PDF content, manipulate pages and forms in real time. Convert hundreds of files in one go with batch conversion and custom templates. 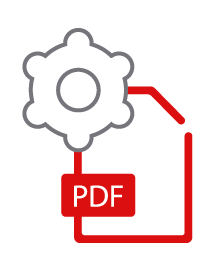 Bulletproof your PDFs with advanced PDF encryption and file permissions. We provide developers with components that let them add PDF conversion features to their applications. All developer tools come as a Software Development Kit (SDK) - a collection of methods compiled, linked and stored in a dynamic-link library (DLL). 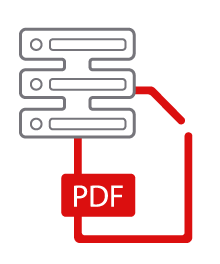 Absolute PDF Server combines both Able2Extract PDF extraction server and Sonic PDF creation server into a single server-side product. Solve your whole organization’s document management needs with the help of our PDF server products. Real, actual, honest-to-goodness PDF conversion. No one else does it better than Able2Extract. Adobe is terrible; NitroPro is great at editing, but not at conversion; Microsoft is ... well, you know. We were having a hard time with some associated companies who insisted on sending scans of financial information, etc. instead of sending us the original Excel spreadsheets. Some Wall Street banker friends told us to get Able2Extract, and frankly, it changed our lives! Now I can actually see my kids instead of just looking at their photos. Get started with Able2Extract Professional now!